This piece was done in collaboration with fellow FishDuck writer and football expert Jason Selby. 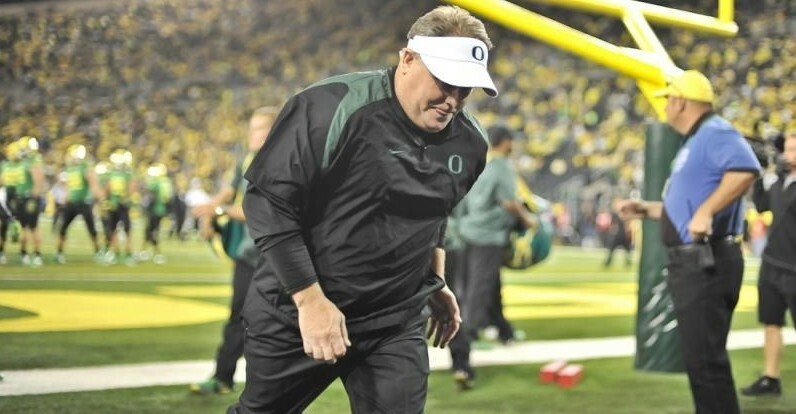 For those living under a rock, it’s probably best that Jason and I break the news to you now: Chip Kelly has an affiliation with the University of Oregon. In Kelly’s most recent move, the former Ducks coach traded his star RB, LeSean McCoy, for former Oregon stud Kiko Alonso. 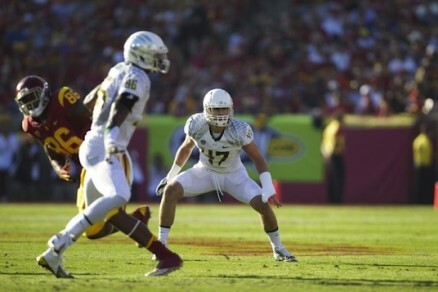 Kiko Alonso (now picture that in Eagle-green). Alonso, a standout at Oregon who earned second-team all Pac-12 honors in his final season, was drafted by Buffalo in the second round. Alonso tore his ACL prior to the 2014 season, but if Alonso can show he’s half of his 2013 NFL self (159 tackles, four picks), the Eagles will see a huge increase in production at the LB position. The move signifies Kelly’s first major action as the manager of player personnel. Although the final say resides with the GM Howard Roseman, it’s safe to assume that Kelly certainly pushed this idea to the forefront. 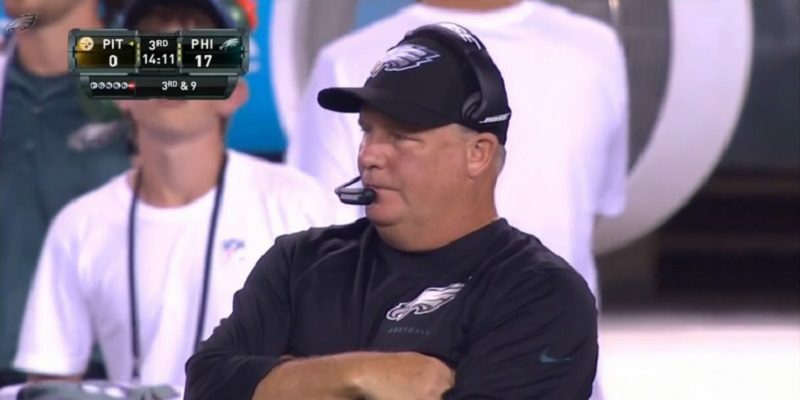 Once the trade for Alonso is finalized, Kelly’s Eagles will have an NFL leading nine Ducks on the roster. Alonso joins former teammates Brandon Bair, Josh Huff, Wade Keliikipi, Jeff Maehl, Kenjon Barner, Casey Matthews, Will Murphy and Taylor Hart. Now although it’s nice to think that this trade is solely about Kelly reuniting with his former defensive star, it’s about much more than that. By trading away McCoy, the Eagles are freed of the RB’s $9,750,000 pay out for 2015. In exchange, the Eagles take on Alonso’s $745,946 contract, ultimately freeing up over nine million in cap space. Assuming Kelly’s master plan is to land Marcus Mariota in this year’s upcoming draft, let’s take a look at five questions that relate to how this trade in particular works towards achieving this monumental reunion. Many assumed that McCoy would be an integral piece in the trade that eventually landed Mariota in Philadelphia, so how does this trade work in the Eagles’ favor? Jason Selby: Trading for Alonso gives the Eagles a lot of cap space to work with. They can now go after Marcus Mariota, and with the extra money they dumped by getting rid of McCoy, the Eagles can focus on trying to draft Mariota and putting pieces around him immediately. 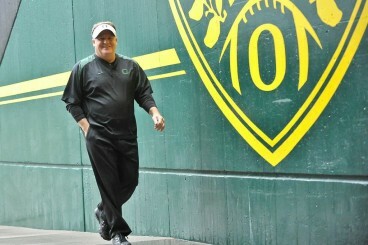 Is Chip Kelly putting together one of the biggest moves in recent NFL history? Caleb Couturie: Money is certainly a big part of this trade, and the extra nine million works directly in the Eagles favor, but I’d take it one step further and say that now the ball is finally in Philadelphia’s court. Whereas before, when their only real trade piece was McCoy, they can now use Nick Foles, draft picks, and even a sign and trade situation with the teams drafting in the first few picks to ensure a deal to get Mariota. If the draft was tomorrow, how would the Eagles go about trading for Mariota? CC: A common assumption is that Jameis Winston is locked in with the Buccaneers at No.1. If this is true, Tennessee then becomes the only top five pick that has QB as a top three need. Depending on the Titans’ interest in Mariota, the Eagles are likely left with either trading up for the second pick or the sixth (currently held by the New York Jets). Although the only difference between the two trades is probably a draft pick, I would assume the Titans would accept a trade for Foles, the Eagles 2015 first and second round picks, and the Eagles 2016 first round pick. JS: The Eagles could have just traded McCoy and draft picks for a top pick in the draft. By trading McCoy to the Bills in exchange for Alonso, the Eagles picked up a necessary component on defense. Now, they can use Nick Foles (a somewhat proven NFL quarterback), along with their first round pick this year, and even a first round pick next year, as trade bait. The Eagles have gained a lot of leverage heading into the draft – a position that mastermind Chip Kelly will gladly work with. With the extra cap space, who should the Eagles be targeting to help Mariota excel in his transition to the pros? JS: With the extra cap space, the Eagles need to focus on re-signing Jeremy Maclin. The speedy receiver is a game changer, and someone that could help Mariota excel in his first year in the NFL. Losing McCoy is a big loss in the backfield, so the Eagles could also use the money to go after C.J. Spiller who has said he won’t play for the Bills next year, or DeMarco Murray. The Eagles might need to free up more cap space to land Murray, but if one thing is for certain, Kelly will do whatever he needs to make things happen. 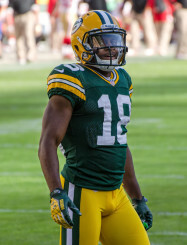 Randall Cobb would be an upgrade at WR. CC: Although the nice move would be to try to resign Maclin, I don’t think it should be the Eagles’ priority. Maclin took advantage of the Eagles’ system last year and had a career year, now heading into this offseason looking for WR1 money. Maclin is an excellent receiver, however if the Eagles are looking to spend WR1 money I’d much prefer to see them chase after Randall Cobb. The former Green Bay Packer is arguably the best slot receiver in the NFL, and he would be a worthy investment for Kelly’s offense. Also, it’d be nice to see the Eagles either sign a RB like Jason mentioned above, or possibly draft one of this year’s top talents. In my opinion, a RB that would fit perfectly in Kelly’s offense would be Jay Ajayi from Boise State. Ajayi is the most complete back in this year’s draft, and his unique set of speed, vision and pass catching makes him a promising NFL talent. With Mariota under center, where will the Eagles finish in the NFC East? CC: It’s hard to say with this one. Although Mariota would basically be making the easiest transition to the NFL in recent memory, he still would be a rookie QB. Dallas is coming off a strong season, and outside of the likely loss of Murray, they return the core of their starters. I’d predict a 2nd place finish, with a 10-6 record and a wild card berth. JS: The Eagles went 10-6 last year with quarterback issues the entire season. If the Eagles land Mariota, I think they will win at least 11 games. Gaining Kiko on defense will make the defense better, and getting Mariota on offense means the Eagles can run over defenses just like Kelly and Mariota did in Eugene. With this potential reunion, the possibilities on offense are endless. They will win the division – the Cowboys have shown too much inconsistency over the last few years for me to believe they will have two good seasons in a row. All jokes aside, will Mariota really be an Eagles come draft day? Caleb and Jason: What do you think?